We are delighted that for the second year running, Elizabeth’s Cake Emporium will be partnering with the iconic hotel The Savoy, Jane Riddell of Planned to Perfection and WildAbout to welcome the flower empress, world-renowned floral designer Karen Tran for her annual three-day Floral Experience Masterclass from 16-18th April 2019. This masterclass will then culminate in a by invitation only, VIP gala dinner on Thursday 18th April in The Savoy’s stunning Lancaster Ballroom. 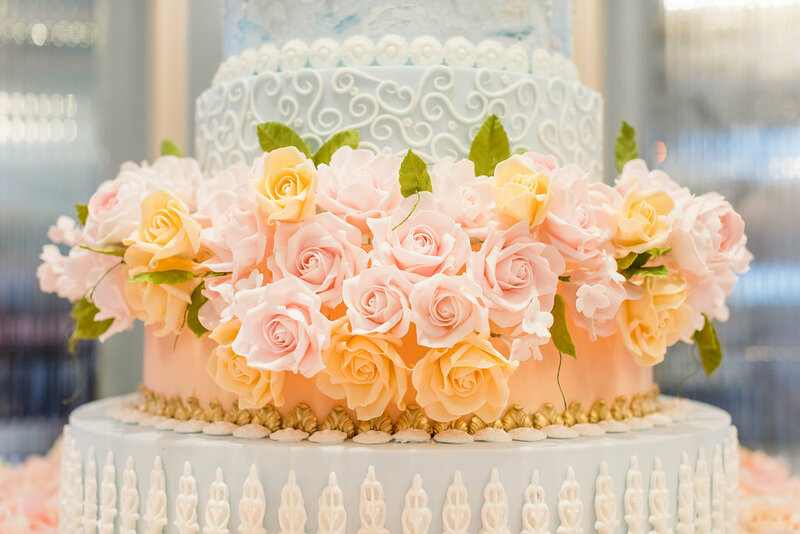 Last year, Elizabeth’s Cake Emporium was instrumental in creating what was considered to be the event of the year and we are really looking forward to creating another luxury wedding cake masterpiece to compliment the stunning florals. Karen will share her expertise of transforming any location into a breath-taking event space with her masterclass students. 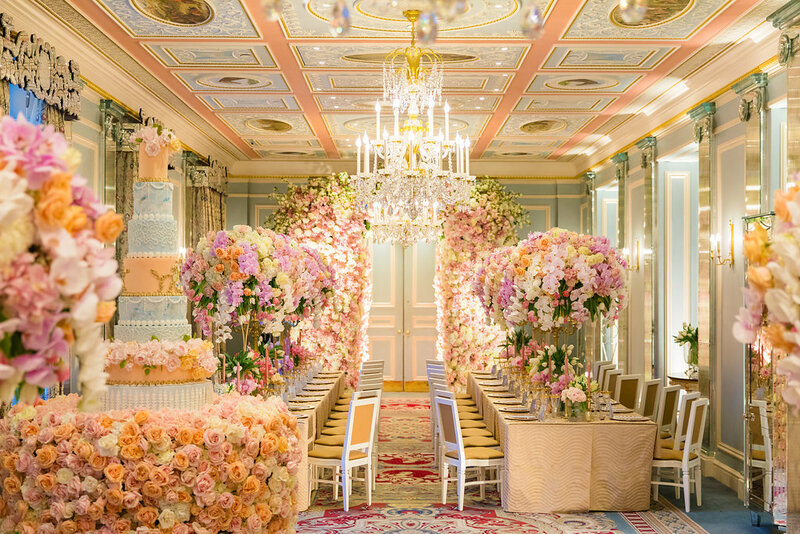 She will teach them how to create the most astonishing floral designs and show-stopping displays, while sharing her knowledge of the luxury weddings and events industry. The masterclass will also feature a select number of guest speakers from the events industry. On Thursday 18th April, “Opulence at The Savoy” will conclude in a magnificent gala dinner, brought to you by award winning luxury Wedding Planner, Jane Riddell, from Planned for Perfection, in association with wedding cake designer, Elizabeth’s Cake Emporium, and Karen’s UK support florist, WildAbout. The Savoy and Karen Tran will host the event, where VIP guests will enjoy an evening of timeless glamour in the London landmark hotel. 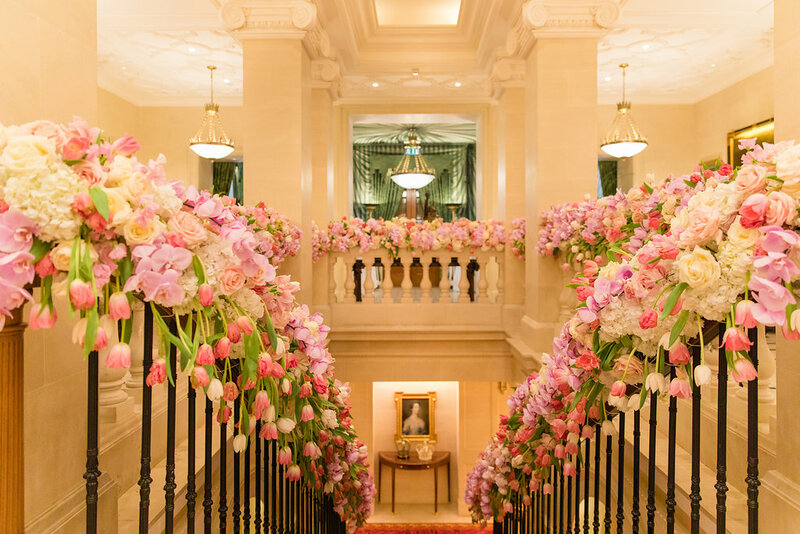 “I am absolutely delighted that The Savoy is hosting this year’s London Masterclass and I cannot wait to see my floral designs in one of the most prestigious hotels in London. I very much look forward to welcoming students from around the world to the masterclass and to a magnificent gala dinner celebration” says Karen Tran. Sasha Cullen, Wedding Sales Manager at The Savoy says: “We are really excited to be hosting the Karen Tran Floral Masterclass at The Savoy. We have such incredible creative’s in our Industry who continue to inspire us throughout our events careers and Karen is one of them. We cannot wait to see what she creates; and what better venue to host this extravagant spectacle than where Glamour first began”. The Savoy is the only luxury hotel on the River Thames, perfectly placed in the heart of one of the world’s most exciting cities. 267 rooms and suites are accompanied by some of the most well-known restaurants and bars in London, alongside magnificent and varied meeting space. With exceptional service at the heart of everything, a Savoy experience is built on memories created and stories told across the generations. You don’t just stay at The Savoy, The Savoy stays with you.